The Hexbug “Nano” is a tiny cockroach-lookalike robot with a rotating motor, causing the 12 rubber legs to vibrate and making the bug do what it does: move forward! The shape of the robot makes it turn when hitting an obstacle. These movements makes the robot look and act very much like a living bug. 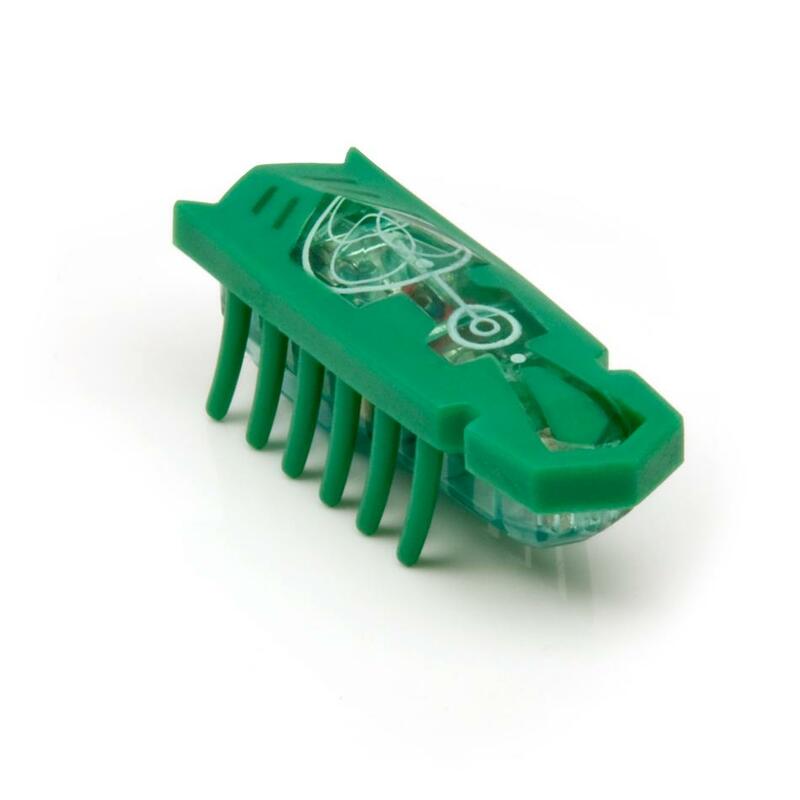 The Hexbug series contains 8 different robot bugs, but my favorite is the “Nano”. The vibrating legs instead of wheels and gears, is pure innovation, funny and better looking. 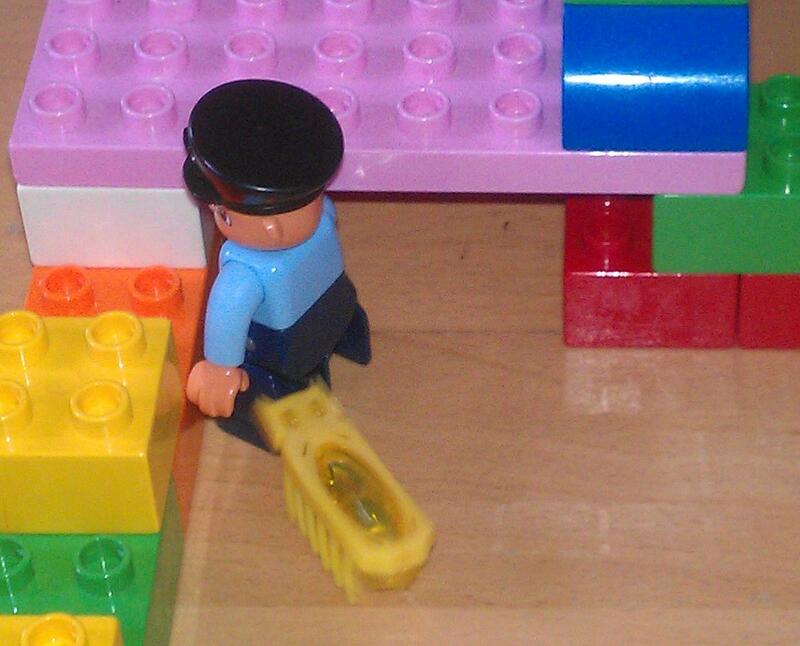 Whats with the LEGO Duplo-thing? The cost of the original bug-elements is nonsense! If i wanted to buy a bug habitat with some tubes, curved pieces and spiral ramps, i would have to offer more than 30 £! But if I use LEGO Duplo blocks, which of course also is quite expensive, I could rebuild, redesign, innovate, creative and feel a lot more free to build it like I wanted it. 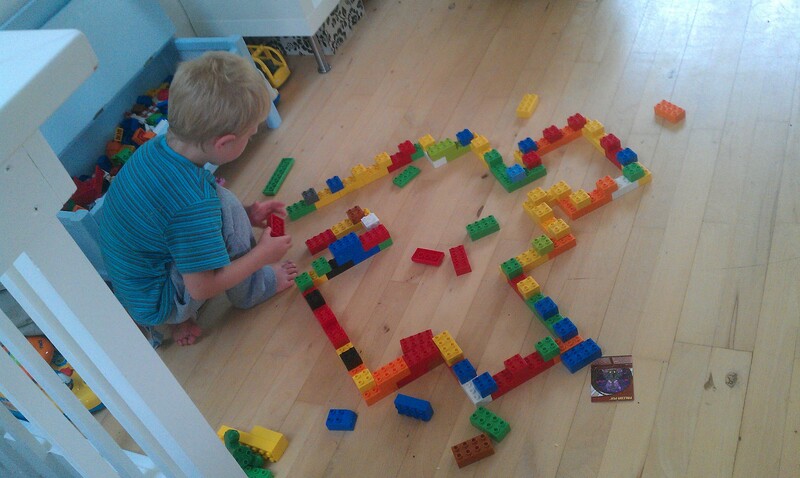 Also the LEGO Duplo-blocks are already in my house and I my kids plays with them in multiple contexts. Finally I like the idea of putting toys together that wasn’t ment to. It creates its own aesthetic and sometimes offers new possibilities. 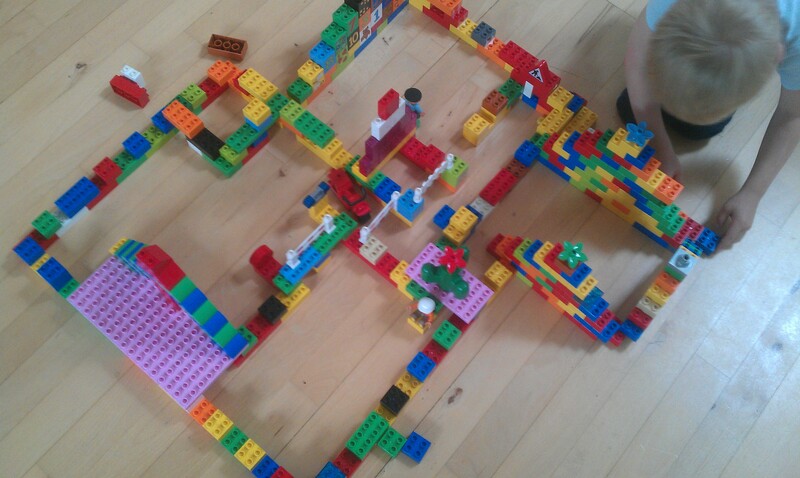 The first game we made was a classic maze, with lots of tubes, halls and rooms to get lost in. 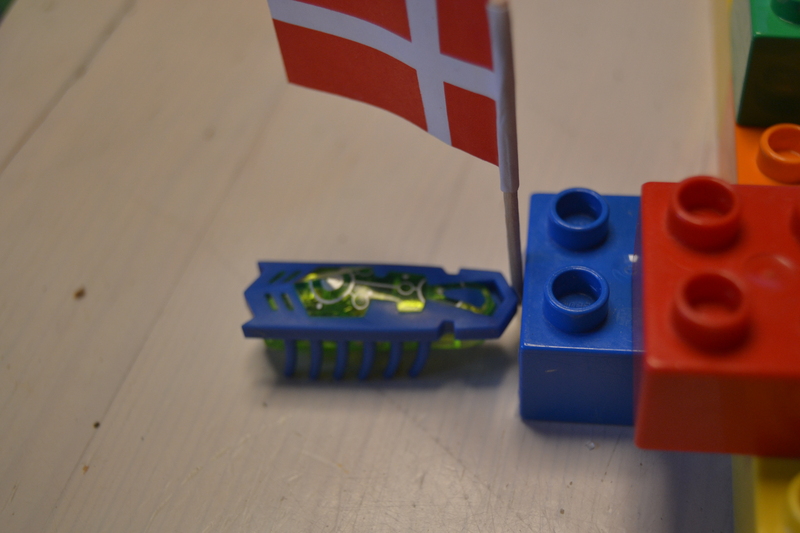 Then we added a feature: The first bug to catch the LEGO Duplo guy, won. But if they touched the Police they received a 30 seconds penalty and returned to the starting point. We gradually added more features. We played cat vs. mouse, Nano bugs as mice and the Ant bug became the cat. We played CTF (Capture The Flag). A popular computer game modification, mainly for First Person Shooters like Quake and Unreal Tournament. The rules of CTF: Build your own base and flagzone. Move into enemy flagzone and capture his flag. Return to your own flagzone to score points. 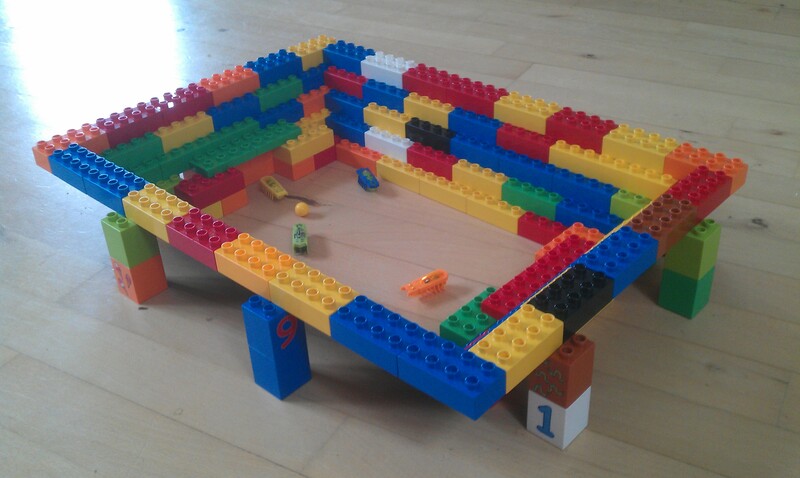 Finally we builded a stadium for the bugs to play soccer. Watching the bugs running around the field chasing the ball like crazy was priceless! We later used chopsticks as an element, to direct the “soccer players” towards the ball. The fascination of robots and insects can be accommodated while reflecting on “how it works” and “what insect instincts do”. How can it be, that this robot, containing no wheels, can move forward? It looks so non-mechanical. Also, as any other game with LEGO, this is a way to set creative minds free in the building phase, but also in the game design phase. Discussing and testing new game elements and rules will, without any doubts, expand the kids way of reflecting and understanding complex setups. One way to empathize this, is the Game Wheel. This theory is common for teachers to use in the school sports in Denmark. The wheel contains 6 elements. Each element can be changed, but it will inflect on all the other elements. 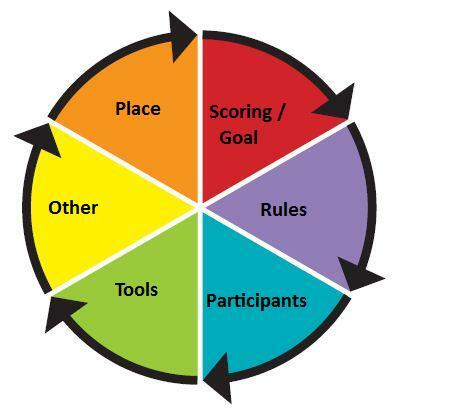 So if you, for instance change the number of participants from 2 and now 8, you might also consider changing to a bigger “Place”, and if you change the way of scoring, from throwing ball into basket and now kicking, you might also consider changing tools, so the goal no longer is a basket, but maybe a soccer-goal. You can decide whether the participants should be Hexbugs or a real Cockroach race!! In that situation, there might be some more rules to consider as well. The Game Wheel helps you to think of all the elements in the art of creating a game. Finally, the main purpose is to have fun. And we did! What great ideas for making hexbugs a bit more creative & stimulating. I was looking for some Christmas inspiration & had been thinking of buying hexbug habitats but you’ve convinced me – duplo, lego & cardboard it is! It’s always great to come across some really good quality content like this – thanks for the post. Thank you for the reply. Im glad you chose a more creative solution :) Have a nice christmas! My 4 year old and I loved watching the video! Do you guys have magna tiles (or picasso tiles, same thing but cheaper)? That might be fun with the hexbugs too! Cool blog!